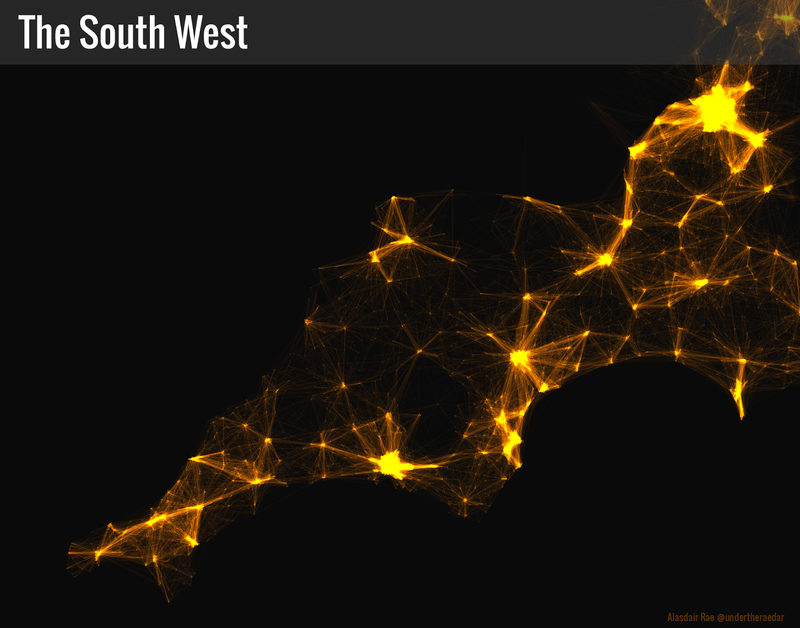 Last year I produced a few commuting maps of England and Wales after the 2011 Census data were released. 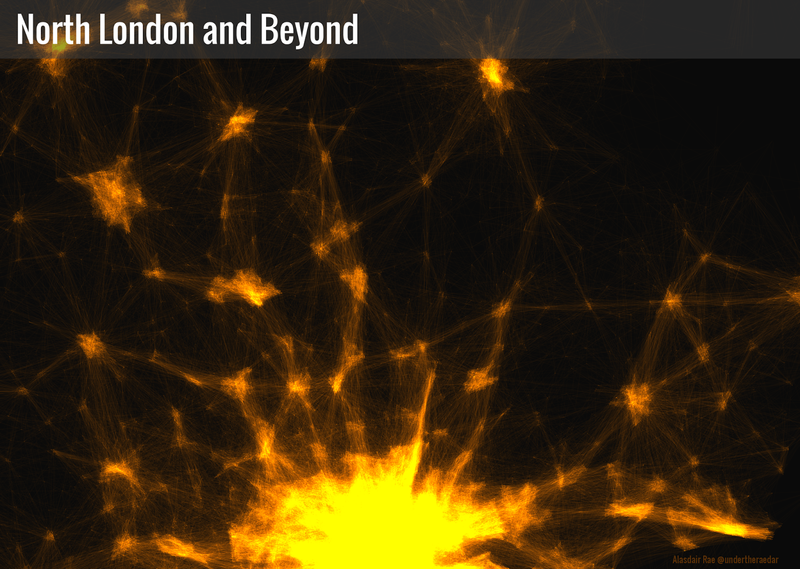 Now I've turned my attention to mapping patterns of residential mobility in urban areas of England as part of my work on understanding housing markets. 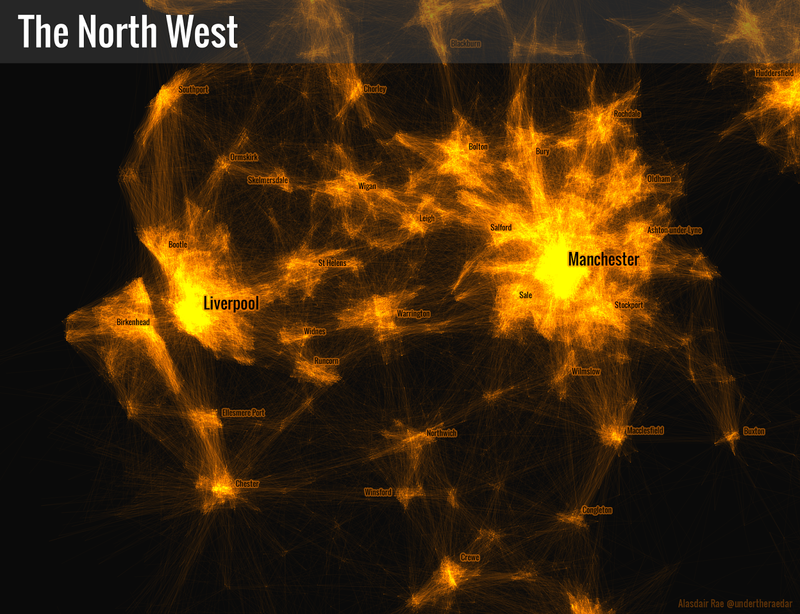 This post highlights some of the patterns uncovered in the data - which are output area level migration flows for England and Wales (about 4 million individual flows). If you're interested in how I did this you can find out in a previous post. 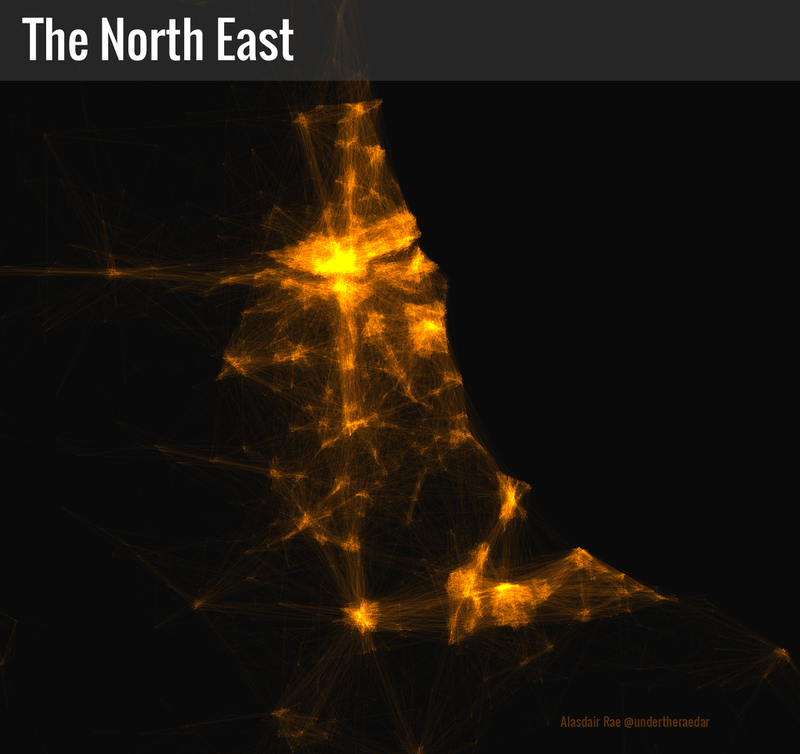 The first image is of the urban North West of England and for subsequent images I've zoomed to different parts of the country. I've kept it simple and only showed the flow lines, apart from in the North West where I've also added some place labels. It's all a bit experimental at this stage. 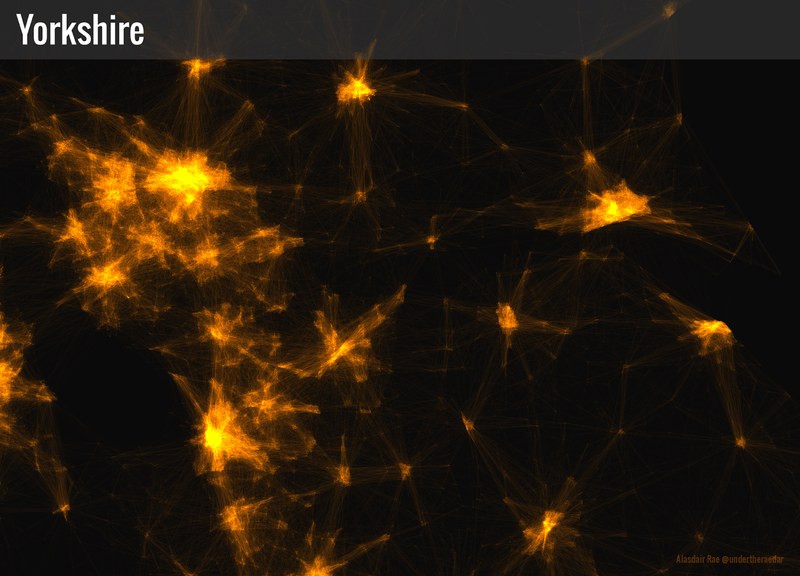 Notes: I've filtered the data so in certain cases some places are not shown (e.g. in the North West image places in North Wales are not visible). Also, I've only shown flows of a certain volume in order to filter out the noise.